There's a scene in the movie, Office Space, that gets me every time. Bill Lumbergh, the clueless executive, announces a new culture initiative in an all-hands meeting. "So you should ask yourself, with every decision you make, is this good for the company?" A banner hangs overhead that reads "Is this good for the company?" It was the beginning, middle, and end of the initiative. A new report from the consulting firm PwC shows this type of executive disconnect from corporate culture initiatives is real. A 2018 survey of 2,000 people in 50 countries found large gaps between what executives and employees felt about corporate culture. You can read some stunning conclusions below or read the entire report here. Companies often create a mission, vision, or value statements to help define the culture. Yet the true culture is how people think and act. At just 63 percent, even leaders sense there's a huge gap between the culture message and what people are actually doing. The perception is far worse among employees. There are two causes that I frequently see. The first is executives try to define the culture all by themselves. They sequester themselves in a conference room or hold a retreat, and dream up what they think the culture should be. I've called leaving your employees out of the process the worst mistake in building a service culture. That's because you need everyone represented to come up with an authentic description of how people should think and act. The second leading cause of the consistency gap is too many culture initiatives are like the banner in Office Space. They're symbolic, with no real commitment behind them. So how should you define your culture? I recommend this proven process. The root cause is often tied to how culture initiatives play out. The executive team dreams it up behind closed doors, an announcement is made, and employees see little else. There may be a culture committee or task force doing some work, but frontline employees don't see that and usually aren't involved. They just see their daily work continue as usual. The customer-focused companies I researched for The Service Culture Handbook took a very different approach. Leaders in these organizations involved employees every step of the way. For example, a customer service leader at Cars.com shared customer feedback with her team on a daily basis, and solicited employees' ideas on how to fix issues. Customer-obsessed employees take a lot of pride in the companies they work for. They love their products and services, believe in the mission, and are often customers themselves. "Challenging your perception of business performance (which you are responsible for leading) can lead you to challenging your own performance, which can be painful for your ego and damaging for your confidence. In this scenario, sometimes executives choose not to acknowledge facts or consider them irrelevant, which is a self-protection strategy." In other words, executives are human just like the rest of us. Our egos try to protect us from our personal failings, such as creating a miserable work culture. The PwC report revealed that 80 percent of respondents felt their organizational culture must change in the next five years. If that's you, what are you going to do about it? My suggestion is to start by defining the culture you want to have with a simple statement called a customer service vision. This is a shared definition of outstanding customer service that gets everyone on the same page. You can use this step-by-step guide to help you create it. I've assembled some additional culture change resources here. Customer service employees may be more important than ever. A 2018 report from the consulting firm PwC surveyed 15,000 customers from 12 countries, including 4,000 from the U.S, to identify the qualities that customers value most in their experience. The results clearly indicate that having friendly, helpful employees available is critical—even as service interactions are increasingly automated. There are major implications here as 43 percent of customers said they would pay a premium for a better experience. You can find proof of this in many places. Coffee is cheap, yet coffee shops are packed with customers willing to pay a premium each weekday morning. Airlines now bring in an estimated $47.2 billion in fees annually for upgrades such as extra legroom or earlier boarding. And movie theaters everywhere are upping prices in exchange for reclining seats that can be reserved in advance. 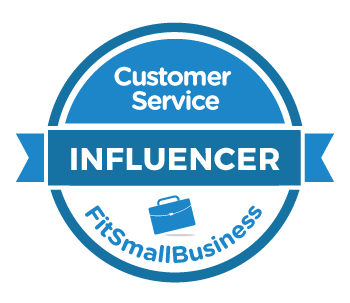 Here are some insights than can help you leverage your customer service team to get an edge on the competition. You can also read the full report here. Notice these all seem pretty basic. There's nothing about the latest technology, hyper-personalization, or even socially-consciousness branding in the top five. Customers are telling us they value companies that are easy and enjoyable to do business with. 71 percent said employees have a significant impact on their experience. 59 percent feel companies have lost touch with the human element. 71 percent of Americans would rather interact with a human than a chatbot. One challenge is it's often difficult to connect with a live person, as anyone who has found themselves repeatedly yelling "Human! Human!" into a phone can attest to. Self-service is often welcome, but it's a best practice to make a live person easily accessible. In the U.S., 65 percent of survey respondents said their experience was more important than advertising when it comes to influencing their purchasing decision. Keep in mind your customers are increasingly likely to go online and rate your company's service—good or bad. Customer-centric businesses are able to leverage positive reputations on rating platforms such as Google My Business to drive even more customers to their doors. A separate PwC survey found a 22 percent increase from 2014 to 2018 in the percentage of customers who shop in physical stores at least weekly for items other than groceries. Online retailers such as Amazon, Bonobos, and Warby Parker have successfully opened brick and mortar locations in recent years to capitalize on this trend. CapitalOne is adding coffee shops to its bank branches. And this may be anecdotal, but that line at Costco doesn't seem to be getting any shorter! Once again, experience is key. I recently did a comparison of three drugstore chains near my home. The stores were all on different corners of the same intersection, carried many of the same products, and had similar prices. Yet the experience at CVS was significantly better. Friendly employees were more readily available and visible signage along with an intuitive store layout made items easier to find. Small details can make all the difference in a crowded market. This makes it critical to capture and analyze customer feedback. Customer-focused companies relentlessly identify and resolve pain points that aggravate customers. You can use this resource page to find help with your feedback program. 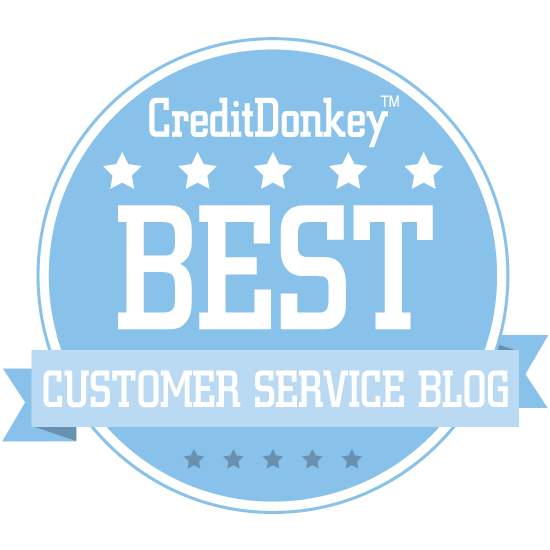 Improve consistency with a shared customer service vision. Provide employees with customer service training. Reinforce great service with regular reminders.